Toyota Rush (2018) is a B-Segment, 7-Seater SUV car with DOHC VVT-I 1.5L engine. The car deliver 103 Hp / 6,000 RPM maximum power and 136 Nm / 4,200 RPM maximum torque. 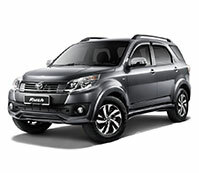 There are two variants available for this compact 7-seater SUV with 4-Speed automatic transmission. 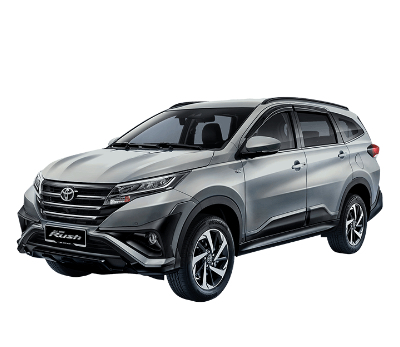 The main differences are Pre-collision System, Leather Seat and Front Fog Lamps that are available only for Rush 1.5S model. 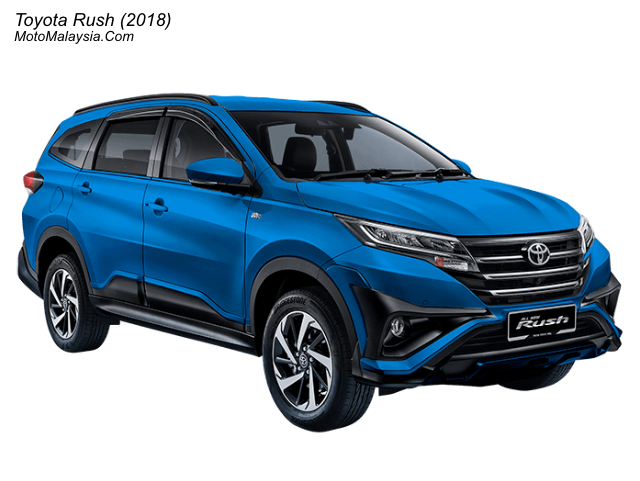 The new Toyota Rush available in five color option with Aerokit that already installed for both variants. So it looks more sporty with 17-inch alloy rims, Dark Chrome Radiator Grille, Rear Spoiler, and Roof Rails. Rush 2018 also have 6 SRS Airbag (Driver, Front Passenger, Side & Curtain) with ABS, Rear view camera and ISOFIX. Toyota Rush 2018 price in Malaysia start from RM93,000 for Rush 1.5G model and from RM98,000 for Toyota Rush 1.5S model. It comes with 5 years warranty with the unlimited mileage.